How do you think you can improve office productivity? Give your employees financial incentives or streamline office procedures? Sure, that will work, but you might not have considered how office design can play a role in your company’s efficiency. It has long been established by architects that space influences how we feel. When they design buildings, they think about how spaces will affect people’s moods and behaviours. It makes sense, especially when you reflect on how much time we spend in our office. The vast majority of us spend 40 plus hours a week at work. Chances are we see our co-workers more than we see our spouses, children and friends. By redesigning your office layout it is possible to make your employees feel more relaxed, focused and content. Workers with a higher morale are more motivated. That directly impacts your businesses’ bottom line for the better. 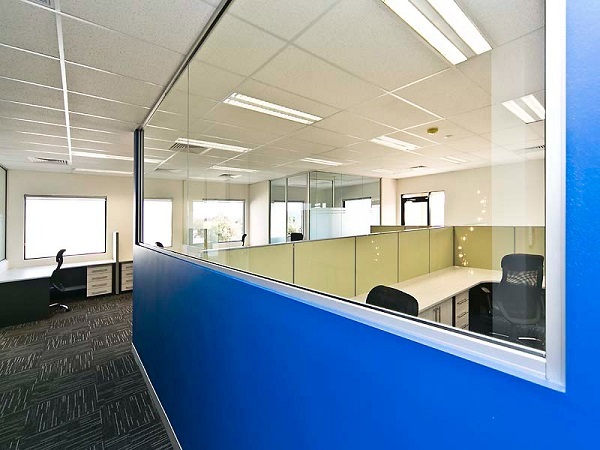 In this blog, we are going to look at design elements that increase the output of your office. You know what it’s like staring at your computer monitor all day long – it becomes tedious. A recent trend that has been emerging in office design, headed by innovative companies like Google and Apple, is having different spaces for employees to use during the day. Different environments include lobbies, break rooms, kitchens, lounge areas and eating areas. These areas are designed with two things in mind – work and recreation (relaxation). When people take a break from their desks to do a bit of work in a lounge area, it shifts their brains and allows them become more focused. Apple are well known to change the environment of workers when they are at a road block – a lot of the time this change allows them to come up with a creative solution to the problem they were having. While you might think having a break room with a television and a game console is a bad idea for productivity, it can actually improve it. Allowing your employees a chance to take their mind off what they are doing for a short period of time can decrease stress and improve morale. Happier workers are better workers. Colour psychology is a science that studies how colours influence how we feel. Having the right colour in your office can have a positive physical and emotional effect on your employers. There is a lot of speculation about which colours are best to use in an office. Neutral colours like blue and white are believed to illicit productivity. That’s not to say a dash of something bold like yellow can’t get the creative juices flowing. It is generally agreed that red should not be used, especially in conference rooms, as it is an emotionally charged colour and can make people act in a more aggressive manner – not something you want during a delicate meeting. Human beings are diurnal animals – that means we are active during the day. We are geared evolutionary to respond to natural light. We are more productive, have more energy and creative when the sun is shining. So why aren’t you catering to this in your office design? It’s unrealistic to assume that your office can simply knock out a few spots to install more windows. However, you can make the most of what you have by cleaning your windows regularly so that the maximum amount of light can enter your office space. 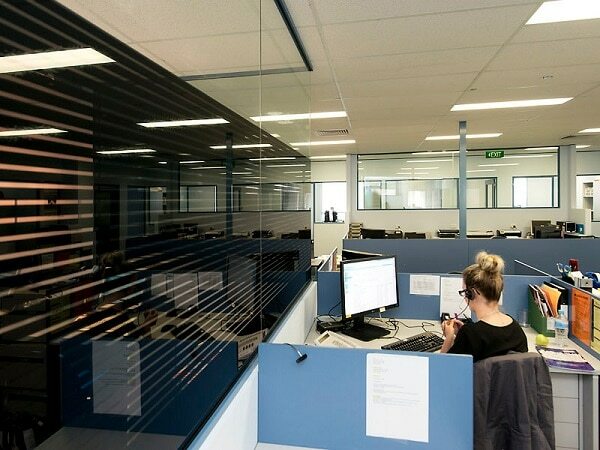 The Westport Innovations offices were designed to maximise natural light through the use of clear partitions. If, for whatever reason, you are unable to source natural light, use indirect light. What this means is that the artificial light is not directly pointed at employees, but instead bounces off walls and ceilings. These have been some tips the team here have come up with after years of experience. We hope it’s got you thinking a bit more about the benefits of well thought out office design.